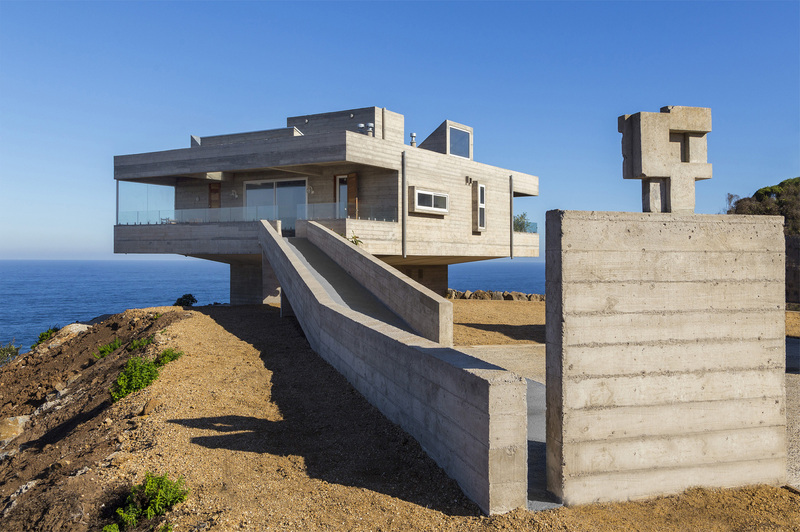 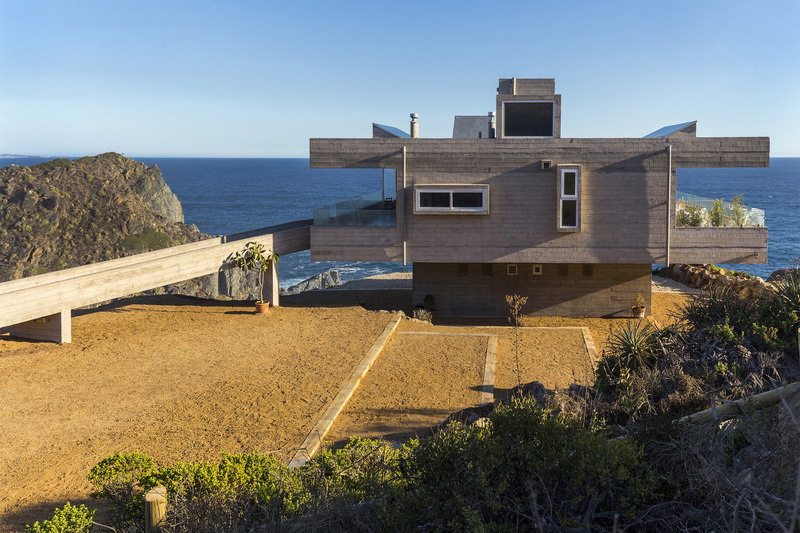 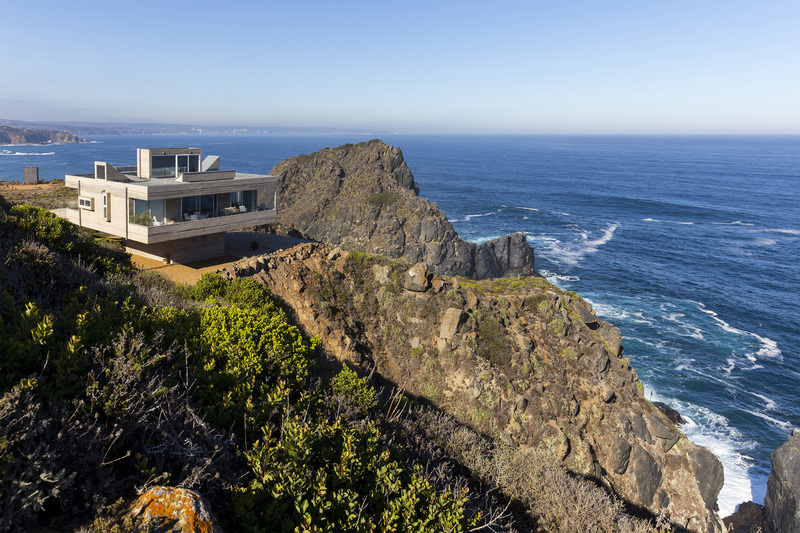 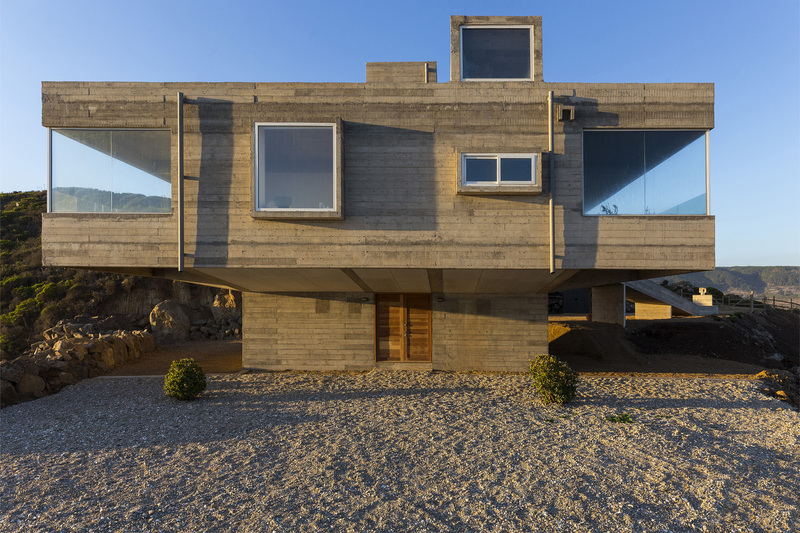 A concrete residential house on the side of a cliff in Tunquen, Chile. 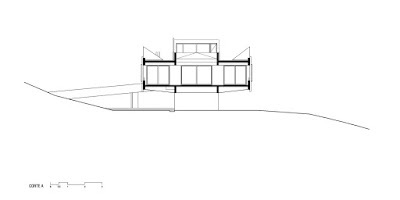 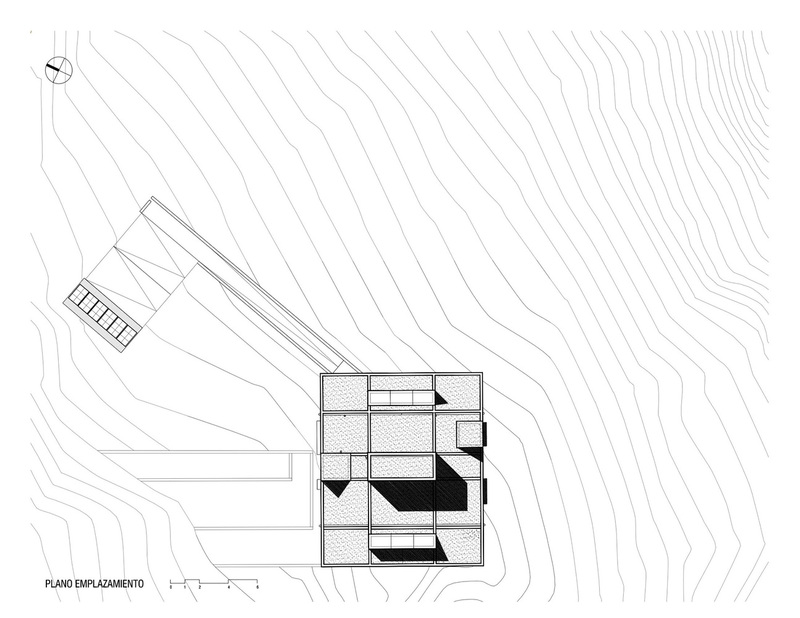 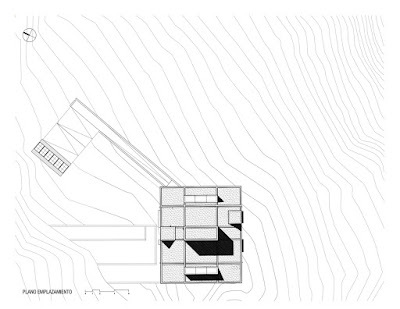 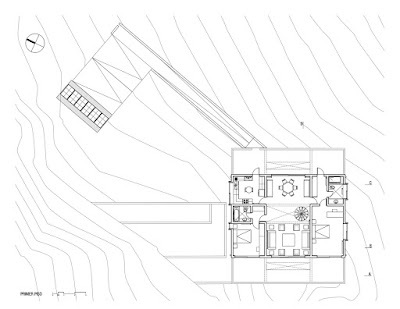 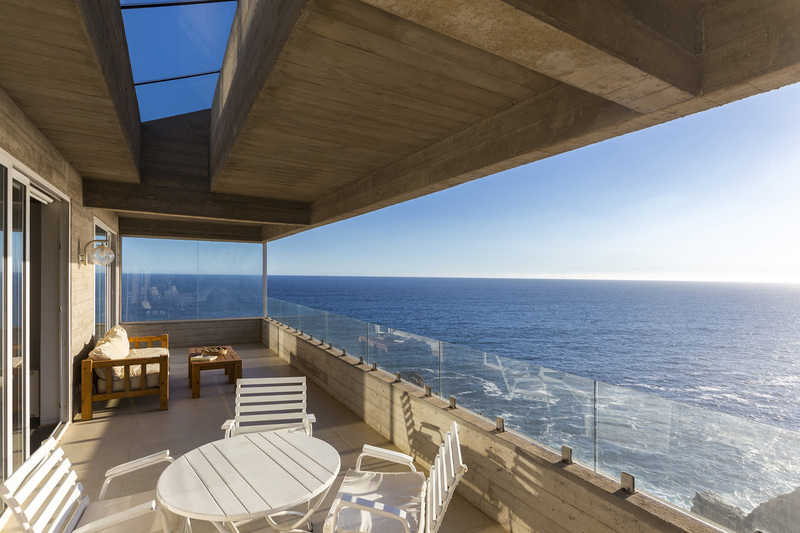 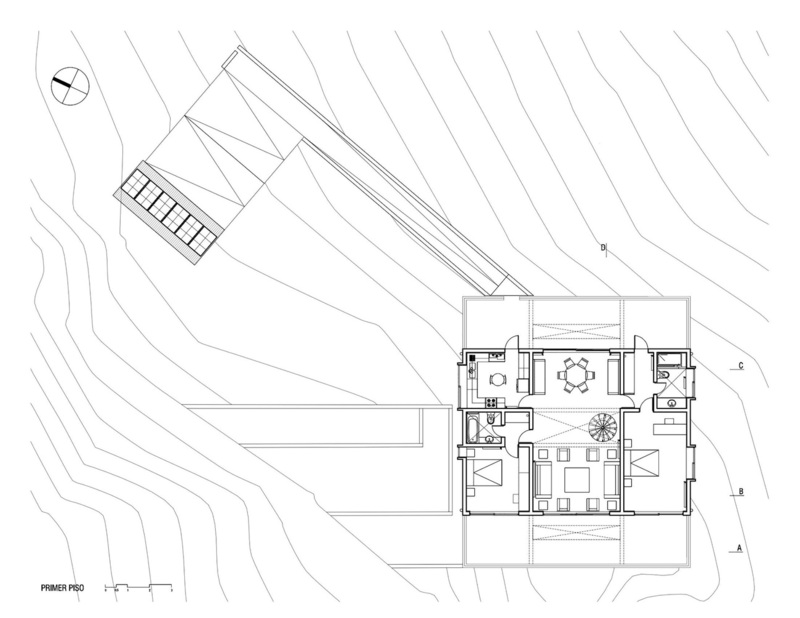 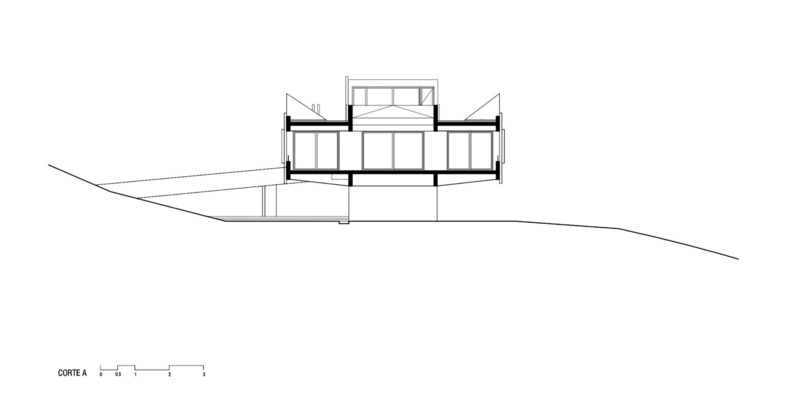 The Mirador house rises from the ground ascending to the main floor by a ramp, and is comprised of a large meeting space connected to two terraces that open to the sea and the countryside respectively on opposite sides, and two departments on both sides. 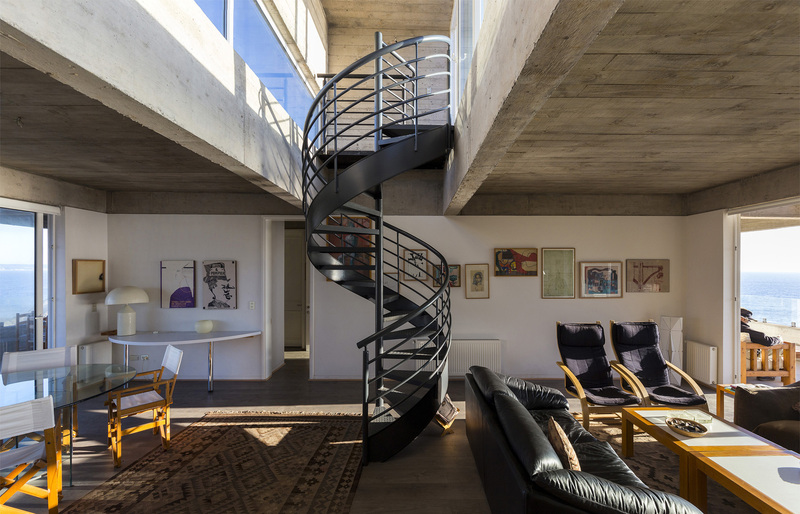 The center of the great space is a double height area through which sunlight enters during the morning and the evening, and through which you may exit via a spiral-staircase to the roof terrace from which dominates the entire area.